Accounts to be downgraded to NPA categories, with retrospective effect (in some cases going back to F.Y. 2012), although these were classified as Standard accounts till 31st March 2015. CDR-restructured accounts - Non fulfillment of conditions - Additional provision recommended in March 2016 Quarter and thereafter every quarter in FY 2017. How such a grave situation has piled up over the years? Why the banks management, Reserve Bank of India and other regulators ignored the matter during last couple of years? Whether such loans have genuinely became bad or there was deliberate diversion of funds, willful defaults or improper or reckless financial management? How such large exposures have suddenly grown leaps and bounds to certain specified groups, without corresponding promoter's contribution and adequate safeguards? Multiple banks are involved in almost all large cases. How and why almost all the bank did not wake up to the call in time? The country need to identify, the real conspiracy as to whether and where crucial resources of the country have been diverted? Who are the real culprits? -whether corruption or gross negligence or poor regulatory supervision at the level of banks as well as at the level of Reserve bank of India? 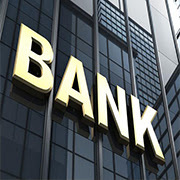 Is there anything fundamentally improper in the management structure of the banks and the latest changing scenario? Even significant variation in valuation for restructuring or transfer of assets from one group to another or within the group via related/unrelated Parties need microscopic preview? confidential so that morale of genuine businessmen and more importantly, the market sentiments do not get affected adversely and backwards. mindset would be crucial for acceptability of regulatory and financial control framework.